Next: Take 5 Cookies! aka chocolate, peanut butter, pretzel, caramel cookie sandwich! Want to impress your family this Thanksgiving with a unique pie chock-full of chocolaty-peanut buttery goodness?  Or just looking to make a decadent, delicious dessert? You’ve come to the right place! Is your mouth watering? Let’s get cookin’! Oh, one more thing, I made two of these pies at once, so you’ll notice two pies in many of the pictures; however, this recipe is for 1 pie. 1) First make the crust. Preheat the oven to 375 degrees F. Place your Oreos into a food processor and pulverize them into crumbs. When they’re all crushed up, add in the melted butter. Pulse the mixer until the butter is distributed and the crumbs are sticking together. 2) Dump the cookie crumbs into a 9 inch, deep-dish pie plate (regular pie plate will work fine too). Using a wooden spoon or your hands, press the crust into the bottom of the pan and up the sides. 3) Bake the crust for 8-10 minutes, or until the edges are juuuuust browning. When it’s down, move it onto a wire cooling rack. 4) Next, the ganache! In a medium sized saucepan, place the chocolate chips, 2/3 cup heavy cream, corn syrup, and vanilla. Heat over a low heat, whisking constantly, until the chocolate is melted and the mixture is smooth. You don’t want to boil it!! You just want it all melted and smooth. 5) Turn off the heat and pour the ganache on top of the pie crust. Make sure to save some of the ganache to drizzle on top of the pie later. Just a few Tablespoons will do. I’d say no need to measure it– all of the ganache will end up in the pie one way or the other! 🙂 I put the extra I was reserving into a mug so that you can just heat it easily in the microwave when you’re ready for it. 6) Put the pie into the fridge (or freezer) while you make the peanut butter mousse. 7) In a large bowl, beat the peanut butter and cream cheese until combined. I used a stand mixer. Then add in the powdered sugar and vanilla and mix again until there are no more powdered sugar streaks. Set that aside. 8) Pour the 1 cup of heavy cream into a large bowl. Using a handmixer on high speed, beat the heavy cream until it turns into whipped cream with stiff peaks. This took me a sold 10-15 minutes to do, just be patient! It’ll happen. 9) Very gently, fold the whipped cream you just made into the peanut butter mixture. Continue folding (gently) until you have a homogeneous mixture. 10) Take your pie out of the fridge/freezer, and scoop the peanut butter mousse on top. Use a rubber spatula to spread the mousse evenly over the ganache. My ganache wasn’t totally hardened, so it swirled into the mousse a bit. I actually think that’s a plus..
11. Time for the topping! 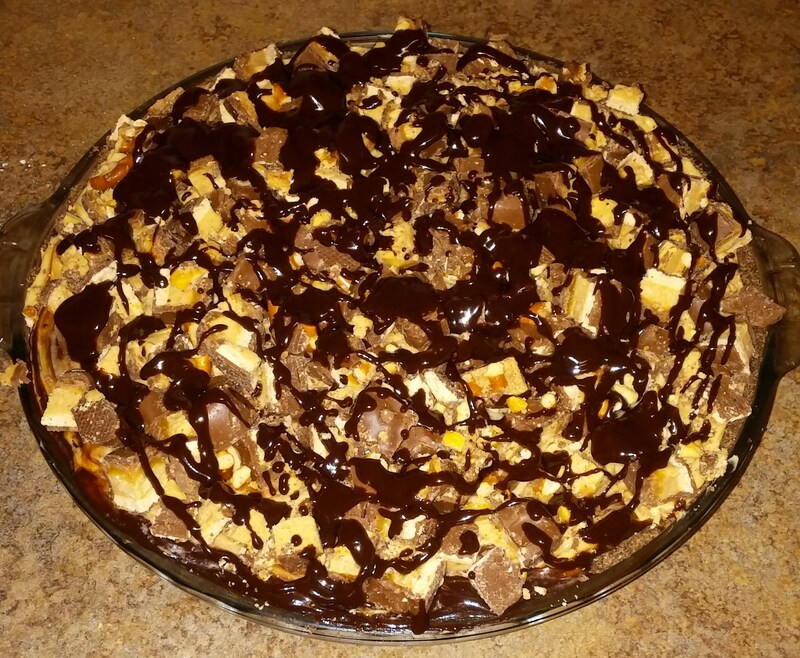 Cover the top of the pie with as many chopped up snickers bars as you want! 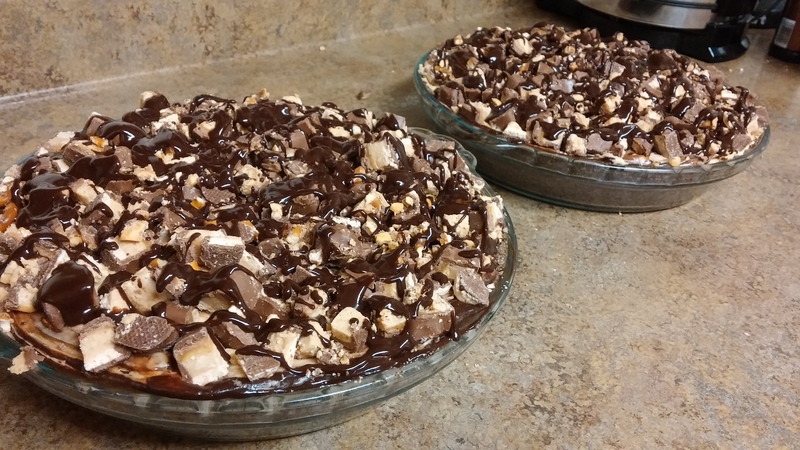 I used peanut butter snickers, but regular ones would be delicious as well (or Reese’s cups, or Take 5 bars, or…). I went a little overboard with the snickers, no regrets ;). 12) Lastly, the ganache! Pop your mug of reserved ganache into the microwave for 30 seconds. Stir it with a spoon. Heat it again if you need to– just bringing it back to it’s liquidy state. 14) Place the pie in the fridge for about an hour. Then, cover it with foil (or press-n-seal, or cling wrap). Place it back in the fridge for about 3 hours, or overnight.